Headquartered in Great Falls, Montana, Pacific Steel & Recycling has over 43 branch offices in Washington, Nevada, Idaho, Utah, Wyoming, South Dakota, North Dakota, Colorado, Montana and Alberta, Canada. Each branch is uniquely committed to its own community’s well-being, because the employees live and work there. In addition to contributing to the local economy by offering jobs and benefits, we actively support schools, youth sports teams and charitable causes. 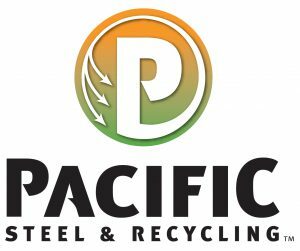 “We at Pacific Steel & Recycling along with our employee owners are excited to provide financial support for this project. This project will allow cancer patients throughout north central Montana to have convenient housing when they travel to Great Falls wherever they choose to receive their treatment,” said Jeff Millhollin, President and CEO of Pacific Steel & Recycling.